271: It’s a Wild Wild World…. So better late than never? That’s what “they” say, right? I think the “they” behind that old cliche are people like me who fill their calendars with way more than is possible to accomplish in a timely manner. 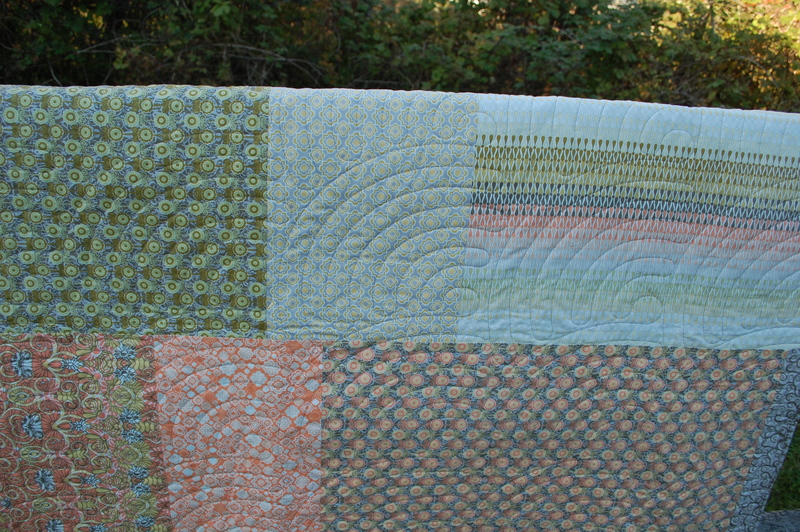 So begins this post about this soothing quilt I created for Free Spirit using Jenean Morrison’s newest line Wild World. It was later in the day than I had wanted it to be, so the outside shots are a bit darker if the sun wasn’t just right. 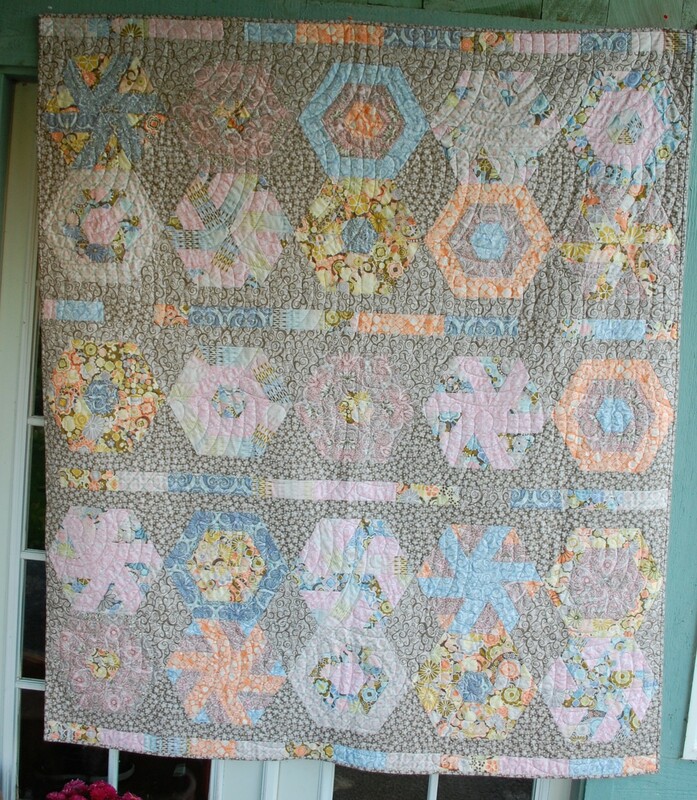 Here is the back that shows the fun “modern” Baptist Fan quilting by Kim at Golden Needle Quilting…. And here is the full shot of the front….. 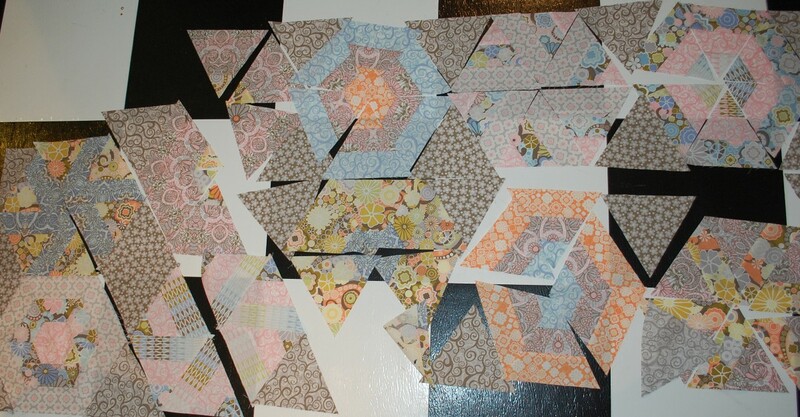 It was such a fun quilt to do. Reminds me of Summer at the Beach….I will let you know when the pattern is available at Free Spirit, and I will put a link here on the Downloads Tab when it becomes available. It should be really soon as they do have what I wrote up over there now. Hope you like this quilt as much as I do. 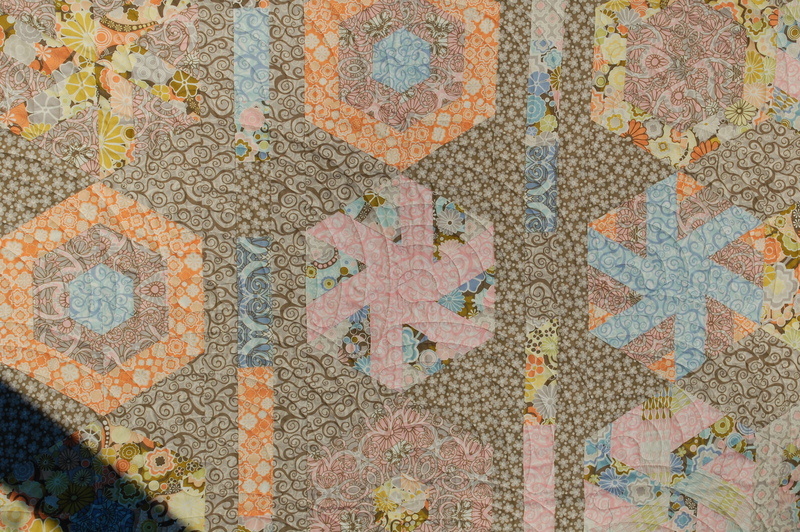 I wish I could keep these quilts that I do for the fabric companies. I miss them when they are gone. This one in particular. 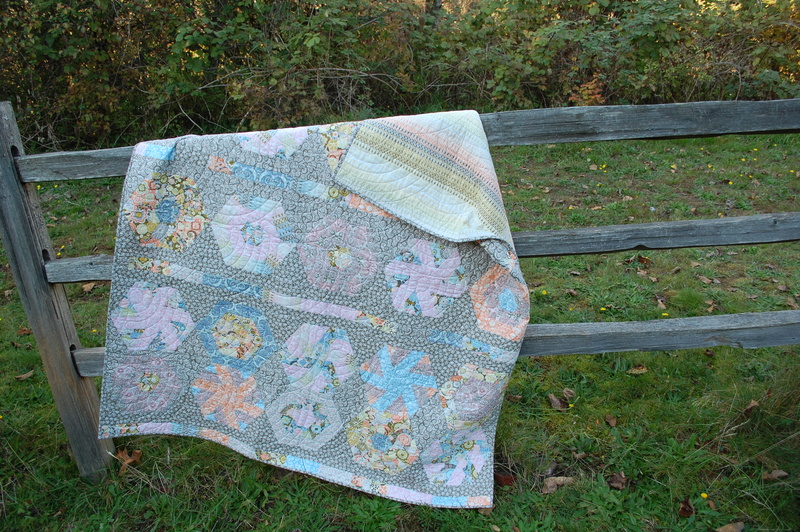 It just felt so cozy and old-fashioned to me…..
Next post two more quilts that I made for Market….actually one quilt ….two versions…..
Oh, I love this quilt! I love that photo of it over the fence. All of the photos I have are a little messy due to the spotlights used at market. It is fun to see this in construction phase and this is the first time I’ve seen the fan qulting–SO cool! Really wonderful job! Thanks for putting so much time and work into this. I truly love the way it shows off the fabrics! 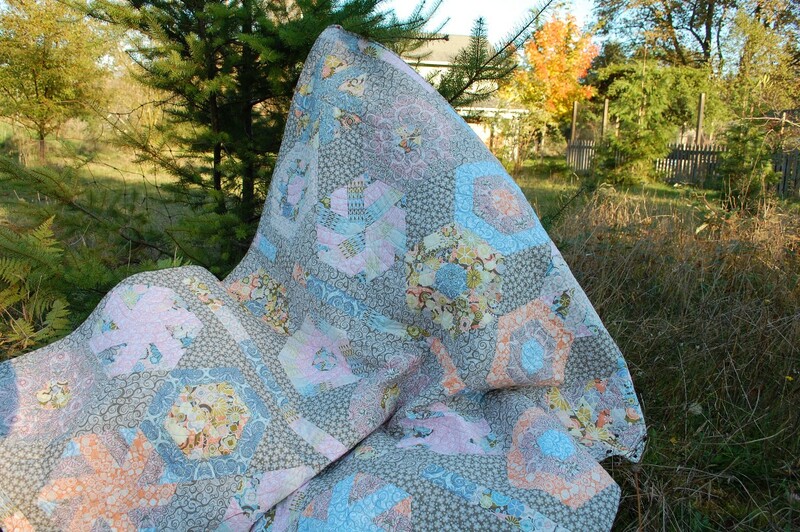 Your quilt turned out gorgeous and the quilting as well! This is a lovely quilt. It is soft and old timey looking too. 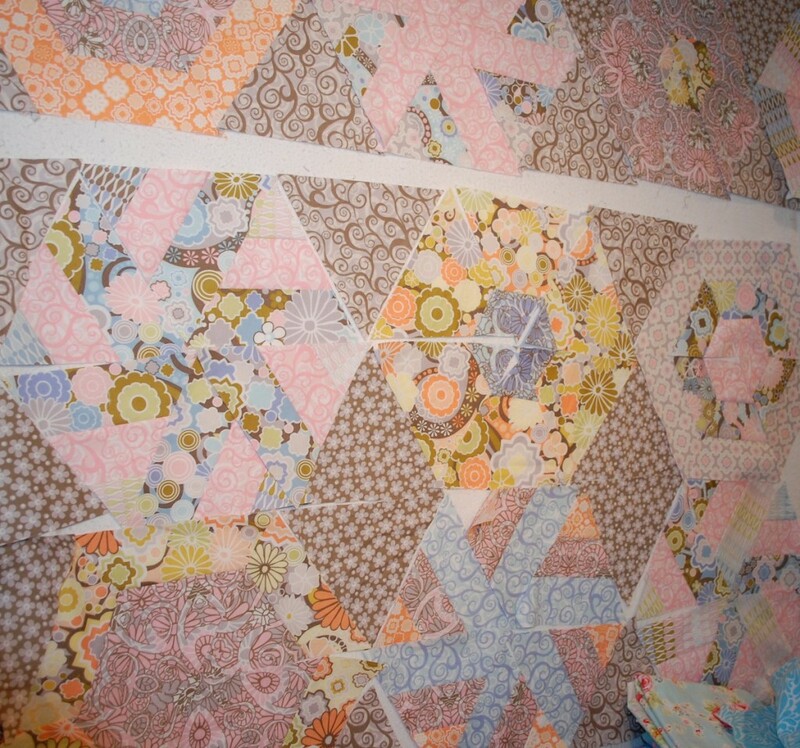 Actually, I have one of these hexagon quilts in my future…hopefully very soon I’ll get to work on it. It’ll be the first quilt I intend to keep for me…. Thats my kind of quilt.Love it.